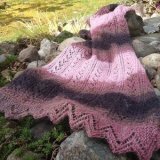 Knitting Pattern Submission - Share Your Beautiful Knitting Project Here! 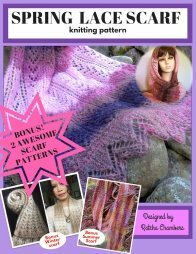 Knitting Pattern Submission - Share your pattern and drive more traffic to your blog or website. The only rules I request are; The pattern and photo you submit must be your own and never been published anywhere else before. Why should you submit your pattern? Submitting a pattern is another great way to bring more traffic to your site and increase your profit. It is free and open to anyone. I know there are so many great knitters who blog about their knitting projects and want to share them with others. Sadly, many of these beautiful and original works are not getting indexed or not on the top of Google, Yahoo, Bing and many other search engines. How many people will go to page 10 or 20 on the search page? Since my site has a very good rank on "easy knitting pattern" page. I thought this will be a good opportunity for knitters who have blogs and websites to gain more visibility. There are 1.25 millions sites found by Google on "easy knitting patter" keyword alone. My site rank number 19! That's a 2nd page on Google Search! (See image above). And the best to come yet because my site is only 5 months-old as of today Sep 28, 2011. Thank you Solo Build It for guiding me through the right website building process. When submitting your pattern(s), you'll get a link back to your site. People who see and love your original works that you share here will likely want to see more of them. So they will follow a link to your site. You then gain more traffic and rank well on search engine! What do I gain for this? Same as you - traffic and more rank on search engine. Now it's time to share your pattern. Knitting pattern submission is simple. Just fill out a form provided below and click submit button.